AUD 1,880 Excl. Duties / Taxes. This Radiant diamond is 0.8 carat in weight, and comes with Very Good polish and Good symmetry, as verified from an independent gemological laboratory. The diamond is graded N in colour, and has a clarity grade of VS2. The diamond's GIA grading report number is 1182192903, which will detail further its specifications and measurements, and will also come with the purchase of the stone. AUD 39,619 Excl. Duties / Taxes. This Radiant diamond is 5.33 carat in weight, and comes with Very Good polish and Very Good symmetry, as verified from an independent gemological laboratory. The diamond is graded N in colour, and has a clarity grade of VS2. The diamond's GIA grading report number is 5192403618, which will detail further its specifications and measurements, and will also come with the purchase of the stone. AUD 4,264 Excl. Duties / Taxes. This Radiant diamond is 1.33 carat in weight, and comes with Very Good polish and Very Good symmetry, as verified from an independent gemological laboratory. The diamond is graded N in colour, and has a clarity grade of VS1. The diamond's GIA grading report number is 1182225333, which will detail further its specifications and measurements, and will also come with the purchase of the stone. AUD 7,798 Excl. Duties / Taxes. This Radiant diamond is 2.12 carat in weight, and comes with Good polish and Very Good symmetry, as verified from an independent gemological laboratory. The diamond is graded N in colour, and has a clarity grade of VS2. The diamond's GIA grading report number is 1259843679, which will detail further its specifications and measurements, and will also come with the purchase of the stone. AUD 4,924 Excl. Duties / Taxes. This Radiant diamond is 1.52 carat in weight, and comes with Very Good polish and Good symmetry, as verified from an independent gemological laboratory. The diamond is graded N in colour, and has a clarity grade of VS1. The diamond's GIA grading report number is 2175306244, which will detail further its specifications and measurements, and will also come with the purchase of the stone. AUD 10,842 Excl. Duties / Taxes. This Radiant diamond is 1.55 carat in weight, and comes with Very Good polish and Good symmetry, as verified from an independent gemological laboratory. The diamond is graded N in colour, and has a clarity grade of SI1. The diamond's GIA grading report number is 2136677982, which will detail further its specifications and measurements, and will also come with the purchase of the stone. AUD 16,642 Excl. Duties / Taxes. This Radiant diamond is 3.24 carat in weight, and comes with Excellent polish and Excellent symmetry, as verified from an independent gemological laboratory. The diamond is graded N in colour, and has a clarity grade of SI2. The diamond's GIA grading report number is 1243021874, which will detail further its specifications and measurements, and will also come with the purchase of the stone. AUD 59,239 Excl. Duties / Taxes. This Radiant diamond is 7.33 carat in weight, and comes with Good polish and Good symmetry, as verified from an independent gemological laboratory. The diamond is graded N in colour, and has a clarity grade of SI2. The diamond's GIA grading report number is 5192899164, which will detail further its specifications and measurements, and will also come with the purchase of the stone. AUD 24,798 Excl. Duties / Taxes. This Radiant diamond is 4.4 carat in weight, and comes with Excellent polish and Very Good symmetry, as verified from an independent gemological laboratory. The diamond is graded N in colour, and has a clarity grade of VS1. The diamond's GIA grading report number is 2181624538, which will detail further its specifications and measurements, and will also come with the purchase of the stone. This Radiant diamond is 1 carat in weight, and comes with Very Good polish and Fair symmetry, as verified from an independent gemological laboratory. The diamond is graded N in colour, and has a clarity grade of SI1. The diamond's GIA grading report number is 1182441870, which will detail further its specifications and measurements, and will also come with the purchase of the stone. AUD 3,314 Excl. Duties / Taxes. This Radiant diamond is 1.02 carat in weight, and comes with Good polish and Good symmetry, as verified from an independent gemological laboratory. The diamond is graded N in colour, and has a clarity grade of VS1. The diamond's GIA grading report number is 2181586220, which will detail further its specifications and measurements, and will also come with the purchase of the stone. AUD 3,216 Excl. Duties / Taxes. This Radiant diamond is 1 carat in weight, and comes with Very Good polish and Good symmetry, as verified from an independent gemological laboratory. The diamond is graded N in colour, and has a clarity grade of SI1. 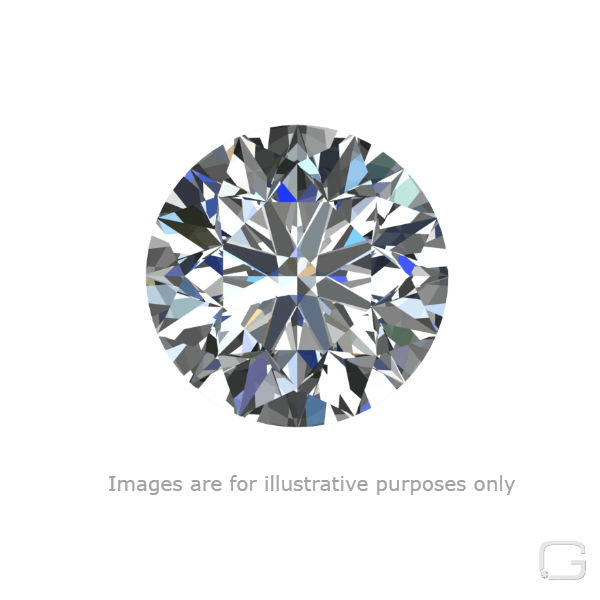 The diamond's GIA grading report number is 5151243772, which will detail further its specifications and measurements, and will also come with the purchase of the stone. This Radiant diamond is 0.9 carat in weight, and comes with Good polish and Very Good symmetry, as verified from an independent gemological laboratory. The diamond is graded N in colour, and has a clarity grade of SI1. The diamond's GIA grading report number is 5172279574, which will detail further its specifications and measurements, and will also come with the purchase of the stone. AUD 23,216 Excl. Duties / Taxes. This Radiant diamond is 4 carat in weight, and comes with Good polish and Fair symmetry, as verified from an independent gemological laboratory. The diamond is graded N in colour, and has a clarity grade of VS1. The diamond's GIA grading report number is 2201139527, which will detail further its specifications and measurements, and will also come with the purchase of the stone. This Square Radiant diamond is 5 carat in weight, and comes with Good polish and Good symmetry, as verified from an independent gemological laboratory. The diamond is graded N in colour, and has a clarity grade of VS1. The diamond's GIA grading report number is 1172445434, which will detail further its specifications and measurements, and will also come with the purchase of the stone. AUD 17,357 Excl. Duties / Taxes. This Radiant diamond is 3.01 carat in weight, and comes with Excellent polish and Very Good symmetry, as verified from an independent gemological laboratory. The diamond is graded N in colour, and has a clarity grade of VVS2. The diamond's GIA grading report number is 2195376459, which will detail further its specifications and measurements, and will also come with the purchase of the stone.